When brides ask for a little something special from Sarah Mulder Jewelry to be added to their bridal experience, I can't help but feel a little leap in my heart. 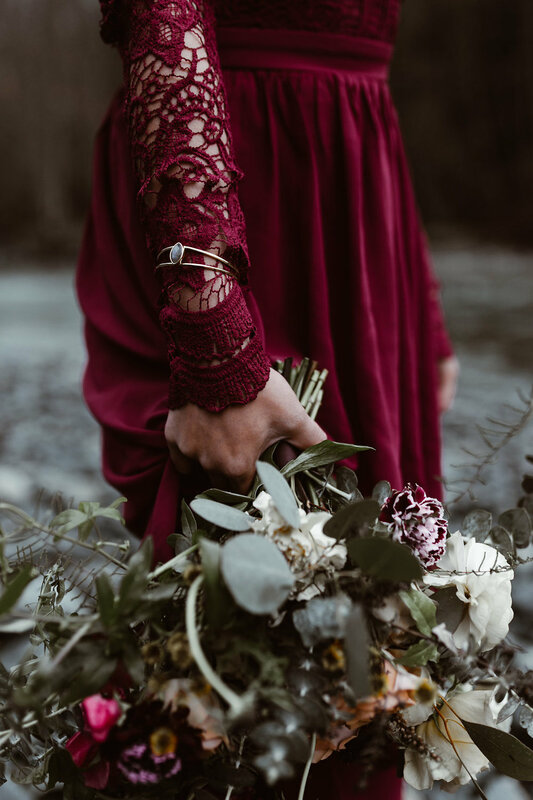 For this gorgeous Alouette Lake engagement shoot by Cally Petersen for Rachel and Nick's wedding, Rachel chose to wear the Dreamer Cuff, the Galaxy Necklace (not available online), and the Reckless Studs (not available online). I love the way this forest shoot came together. Thank you Cally for capturing these pieces on the perfect bride and congrats to Rachel and Nick on their engagement!